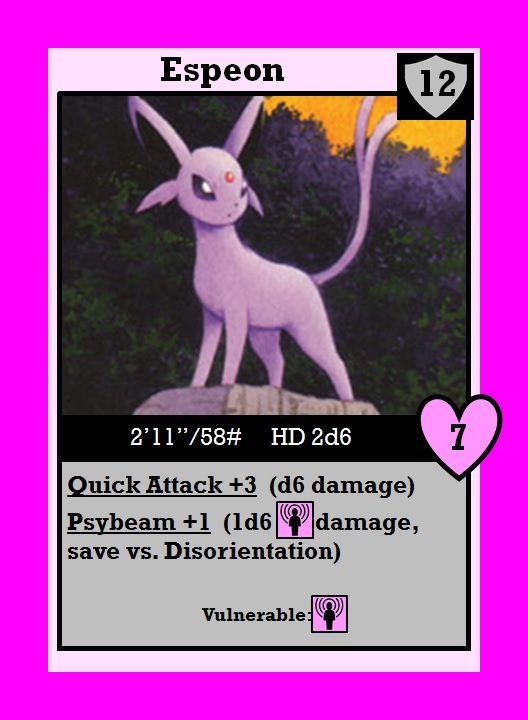 It's still Monstrous Monday! 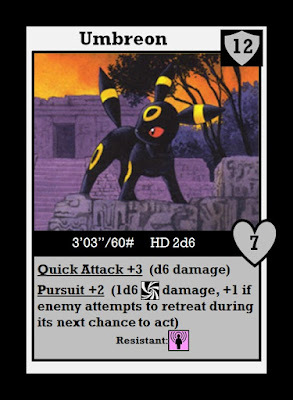 Just enough time for me to continue last week's look at the Eeveelutions for old school gaming by featuring the next two to hit the scene...Espeon and Umbreon. 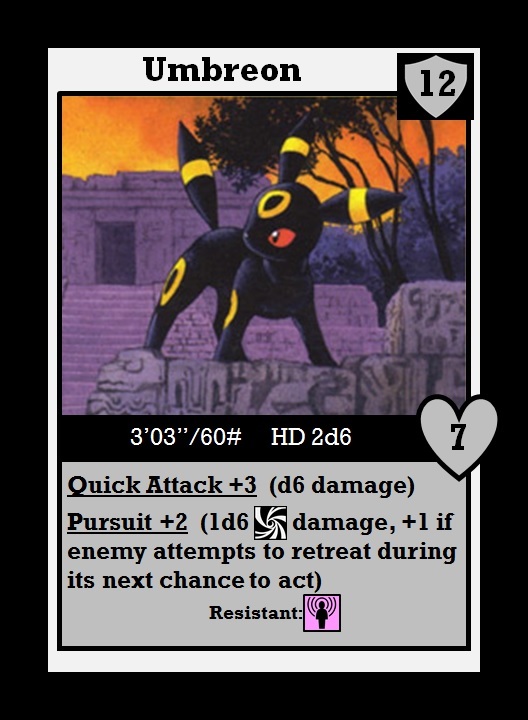 These aren't quite as "elemental" as the first three, but Pokémon's Darkness seems like it could easily be interpreted as Aether, and the Mind as an element should also work in this system, eh? As noted before, I get these icons from the awesome site Game-icons.net, which has tons of amazing bits of art to use in games, completely free of charge! 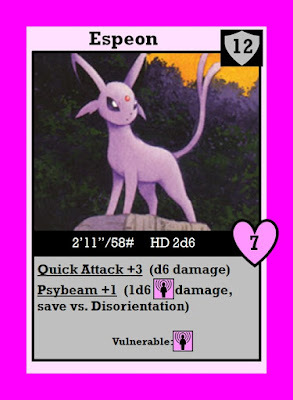 Also, these cards are proportioned such that they can be printed out at 2.75"x3.75", with 1/8" then trimmed around the edges to bring them to standard poker size.